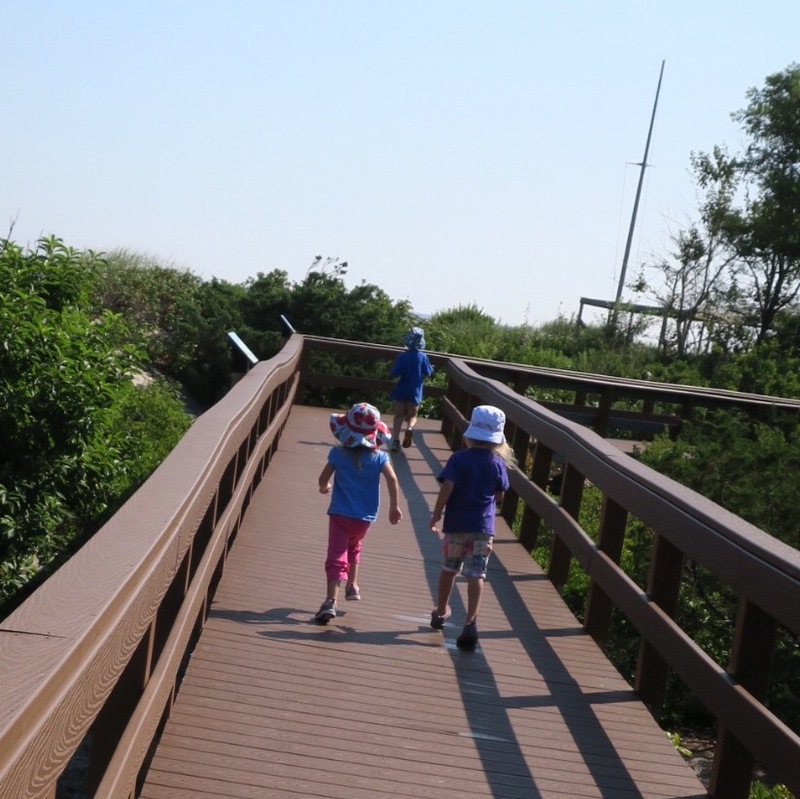 This morning, we went for a walk at a beautiful nature preserve. One on a tricycle, one on foot, and one riding a scooter (their choice). It was a beautiful day as we started down the gently curving mile-long path. The scooter glided easily. In fact, more than 50% of his time was spent waiting for others to catch up. Again and again, I reminded him to wait, that I needed to be able to see him, because gliding is easy, almost effortless. It’s easy to keep going. The tricycle started out slow. She pedaled with persistence and diligence and kept her trike on the middle of the path, but she was, by far, the slowest. And hills were nearly impossible. I had to push her up anything beyond the slightest incline. But she kept going, enjoyed herself, and was proud of her independence. My walker was the most flexible. She could run ahead to where the scooter waited or could slow down to stay with me and the tricycle. She didn’t really notice the gentle, sloping ground, and her hands were free to touch the fauna along the path, finding juniper berries and various textures of leaves. Because we weren’t pushing her abilities, she had time to enjoy her surroundings, to notice and ask questions. I held her hand for a bit and even carried her on my back when she was tired. Cracks and breaks in the path were a hazard to my scooter, who could easily get toppled if he wasn’t paying attention. They didn’t phase the other two in the least. At one point, we stopped at a scenic overlook with a raised pathway. We stowed our wheels, and suddenly, these three kids whose paces were so disparate were now close to unison. Sure, by the end of the path the tallest was slightly ahead, but it was nowhere near the difference seen with the various wheels. Now, I know that all analogies break down eventually, but they can be useful too, so hear me out. We’re all outfitted with different brain processing speeds. They’re innate characteristics of how we’re made. They are NOT intelligence. Some of the most brilliant people I know take a long time answering a question, and the opposite rings true as well. Someone with a slower processing speed will have the experience of constantly being helped along, pushed, nudged, dragged, pulled to keep up with the group, and will have little experience with downtime in a classroom or group setting. They’re constantly being told to finish things up, save it for later, switch gears to something else & then come back. Someone with a faster processing speed isn’t showing off or intentionally leaving the group behind. It’s how he’s wired. He may have already passed by that tree, categorized it in his mind, and have moved on – and would be reticent to come back and rehash what to him is already in the past. My walker was made for this trip, and we saw that when everyone got down and walked/ran. 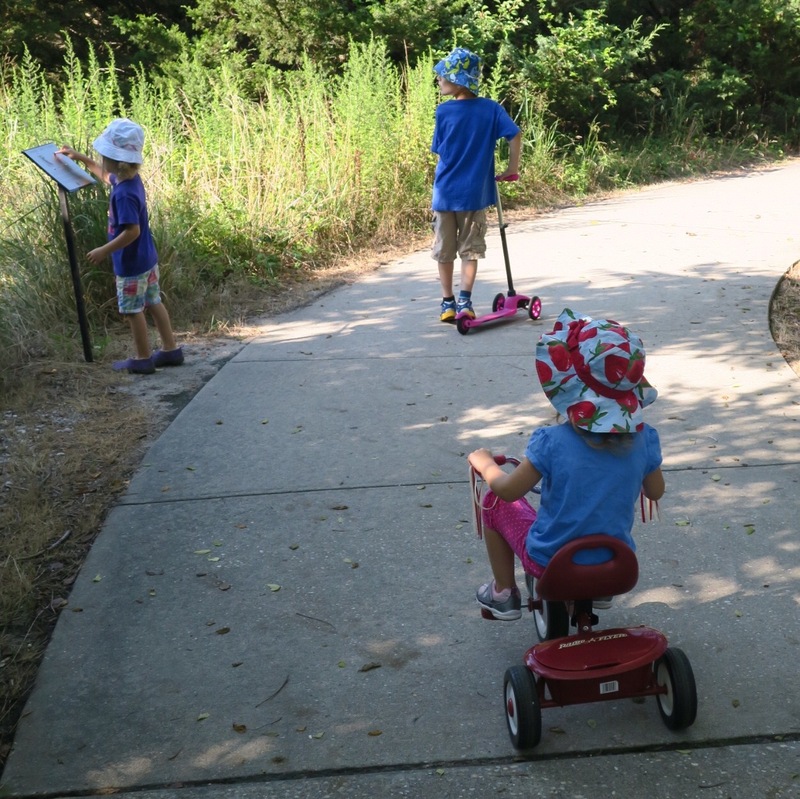 They were able to run together, adjust their speeds to the group, and have a shared experience which was almost impossible for the tricyclist and required enormous amounts of restraint for the scooter. Do you know what I said most often to the tricyclist? Let me help you. And to the scooter? Wait. And to the walker? You’re right – you found ________________. So…. what’s my goal with this post? 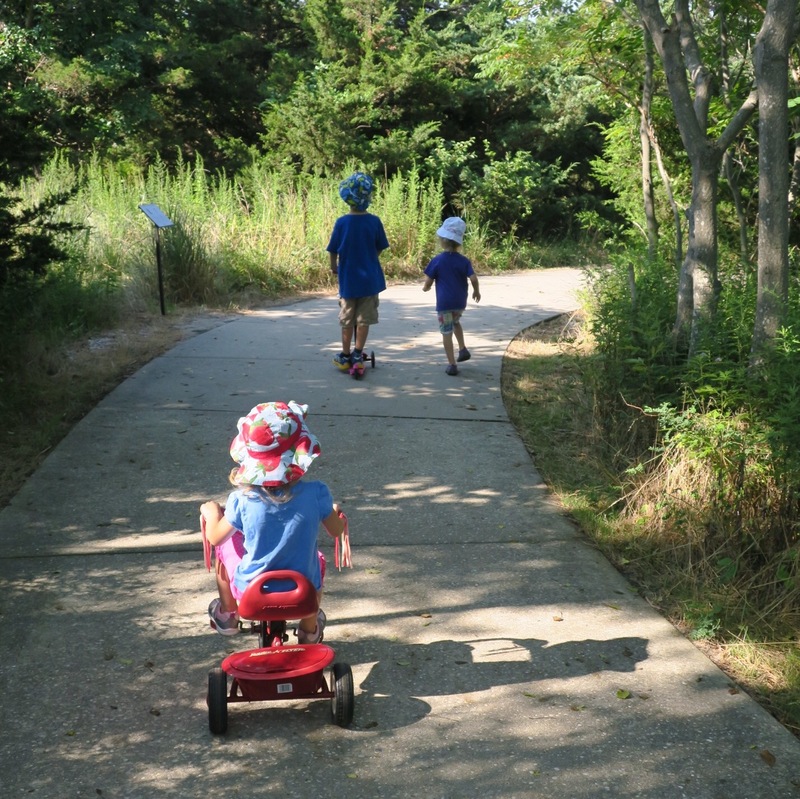 Empathy & understanding for our kids and their innate speeds – not judging someone as less intelligent because she happens to take longer to get there – and understanding for that kid, too, who has to hear “wait” 50x when all he wants to do is keep going. Aw, I needed to read this today. I’ve been struggling with my middle boy overtaking my eldest in many areas.